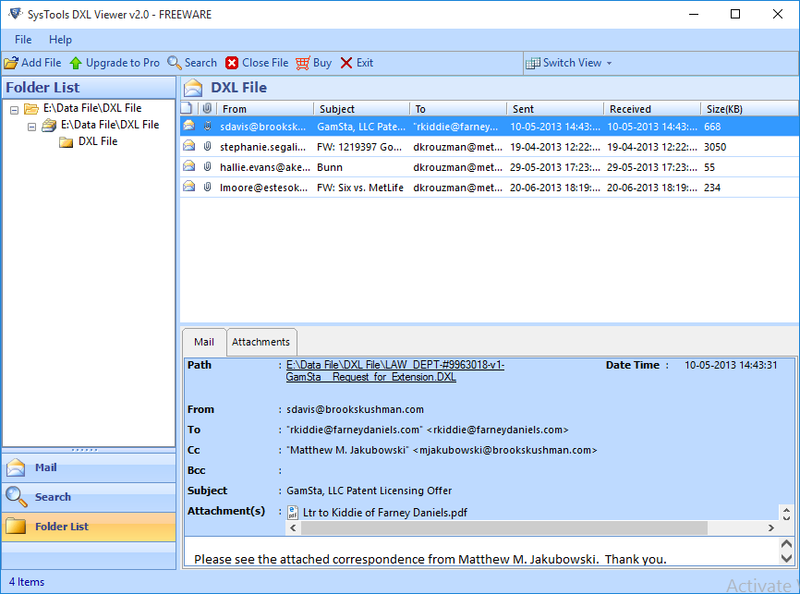 With the help of DXL file viewer tool, the users have the facility to view and read the DXL files without the need for installing the IBM Lotus Notes email client. Plus, this tool previews the attachments of the email messages with their same attributes like images, documents, extensions etc. and also for email properties as well. After the tool has scanned the entire system it will show all the DXL file and add those files in this tool. After that, the user can select the files and folders to view those files and folders and then expand it. It is a benefit feature for those who does not know the stored location of the files and folders. Once the file is scanned the tool will list all the email messages with its respective attributes. After that the users can sort the all the emails based on their attributes like sender, receiver, From, To, Subject, Date etc. Sorting will definitely help the users in rearranging their emails according to their choice. The tool allows users to change the screen view mode of the tool. The user can use the software either vertically or horizontally or vice versa. It totally depends on the user’s need of using the tool in which way. I am not that technically sound, can I able to run this tool? Yes, this tool has a simple user interface and it's easy to use and understand either you are the technical or non-technical person. Is there any file size limitation to open and read the DXL file? No, there is no limitation on file size to open and read the DXL file. Is the installation of Lotus Notes compulsory for viewing the DXL file? No, there is no requirement to install the Lotus Notes application for viewing the DXL file. Why can I not view the documents of the DXL file? The tool only supports the preview of DXL files. Export option is only available for the emails only. First, download the DXL viewer tool in the system and then install and run it on the user’s system. Now, click on the Add File option in the tool to import the DXL file in the software according to the user’s requirement. Once previewing the email messages of the DXL file the users can preview the associated attachments of that email message. Here, the users can switch the view modes of the emails according to their view requirements. 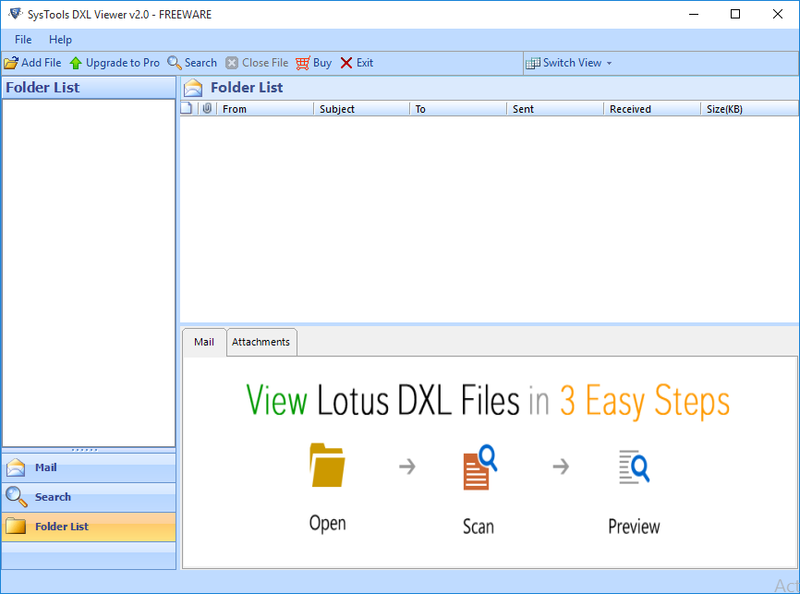 "I never knew that we can open the DXL files without the Lotus Notes email client application. But this tool has really shocked me with the potential it has. It's absolutely great to use such an innovative tool. It's handy plus its free of cost." 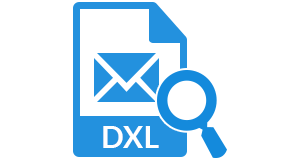 "I used DXL file viewer, the software is very user-friendly and it can be used by either technical or non-technical skill person. Using this tool I was able to view all the data of DXL file on windows operating system. Thanks to the engineering team."